MIT was founded on April 10, 1861, the date it was granted its official charter by the Commonwealth of Massachusetts. This was two days before the start of the Civil War. Over the next several years plans were made and funds raised, with the first classes beginning in 1865. The idea for MIT originated with William Barton Rogers, MIT’s first president. 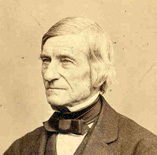 Rogers was a professor of natural philosophy at the College of William and Mary when he described his vision for a “new polytechnic institute” in a letter to his brother Henry in 1846. Rogers campaigned tirelessly for the creation of the Institute, rallying support and raising funds. 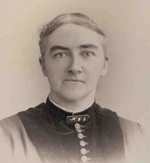 Ellen Henrietta Swallow graduated from MIT with a degree in chemistry in 1873. She later became a faculty member, establishing the Women’s Laboratory and becoming a leader in home economics and sanitary engineering, and an advocate for healthful living conditions through the application of science. She was also active in the women’s suffrage movement. She would later marry Robert Richards, a member of the first graduating class of MIT and professor of mining engineering. Robert Robinson Taylor is recognized as the first African-American graduate of MIT. Taylor attended MIT from 1888 to 1892, graduating with a degree in architecture. Taylor went on to become professor at the Tuskegee Institute, where he spent the bulk of his career. He was instructor in architectural drawing and Tuskegee’s architect from 1892 to 1899 and served as architect and director of “mechanical industries” until his retirement in the mid-1930s. MIT’s official colors are Cardinal Red and Silver Gray. The colors were selected in 1876 when a communication signed by a committee representing the classes then at MIT and affirmed by the Executive Committee of the Alumni Association was voted on and approved at a meeting of the Faculty (Records of the MIT Faculty, vol. 2, April 1876). MIT occupied rented space on Summer Street in downtown Boston until its first building was erected in Boston’s Back Bay in 1866. The original building was located on Boylston Street. The Back Bay campus expanded rapidly and by the end of the century buildings were scattered throughout Copley Square and beginning to spread beyond. The Institute began to explore the possibility of other sites so that its campus could be consolidated. Originally located in Boston’s Back Bay, the Institute moved to Cambridge during a three-day alumni reunion in June of 1916. An extravagant celebration, which included a “ telephone banquet” connecting alumni from around the country and an elaborate pageant, punctuated the dedication of the new campus. “MCMXVI” is carved on the iconic dome of Building 10. The School of Architecture remained in Boston in the old “Rogers Building” until 1938. MIT’s move to Cambridge and the construction of its new campus was made possible in great part by a substantial donation from an anonymous donor referred to as “Mr. Smith.” It was not until an alumni dinner in January 1920, just five days before the death of President Maclaurin, that the identity of the donor was revealed to be George Eastman, founder of Eastman Kodak. The beaver was chosen as MIT’s mascot in 1914. At a dinner of the Technology Club of New York, MIT President Maclaurin was requested to adopt the beaver as MIT’s formal mascot, which he did. 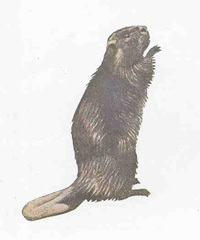 As presented by Lester D. Gardner of the class of 1898, who quoted from William T. Hornaday’s book The American Natural History: A Foundation of Useful Knowledge of the Higher Animals of North America, “Of all the animals of the world, the beaver is noted for his engineering and mechanical skill and habits of industry. His habits are nocturnal, he does his best work in the dark.” (Technology Review, vol. 16, 1914). One of the best-known public events hosted by MIT was the “Mid-Century Convocation,” a symposium held in 1949 to reflect upon the post-war world and the role of science and technology. Winston Churchill was invited to be a guest speaker. President Truman, scheduled to speak the following night, declined at the last minute, some say because he did not wish to follow the renowned speaker.